If you have ever been frustrated by the fact that copying and pasting an object from one page to another has positioned it funny, then you'll love this. 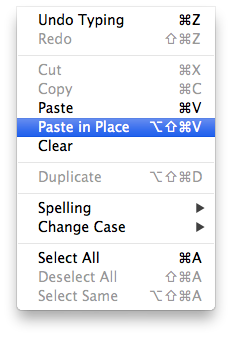 I was one of these people until I discovered Edit > Paste in Place from the Muse menu. Copy your objects as you normally would, but when pasting, choose Paste in Place to have the object pasted in exactly the same X and Y positions as the source page. The keyboard shortcut for Mac users is Option Shift Command V. Alt Shift Control V for Windows users.